Yamaha TRX850 lowering links 1inch 1995 on, this lowering kit reduces the seat height on the Yamaha TRX850 by one inch. Yamaha TRX850 lowering links, 1 inch lowering kit (-25mm) for year models 1995 onwards. 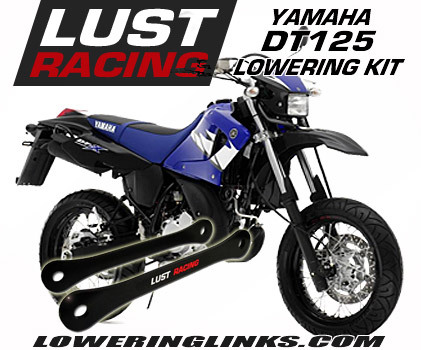 This lowering kit for Yamaha TRX850 reduces the ride and seat height by 1 inch by lowering the rear suspension. Simply replace the standard suspension rods with the new lowering links supplied in the kit. The lowering links are made in special steel stronger than the standard links they replace. Very high quality, these links will never fail! 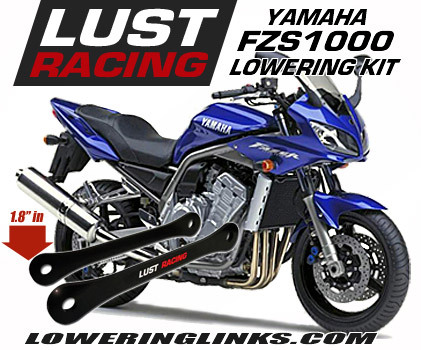 Manufactured in England by Lust Racing – Europes leading manufacturer of motorcycle lowering kits.